It had been a long day tracking and recording spotted hyena prints left in the sand. 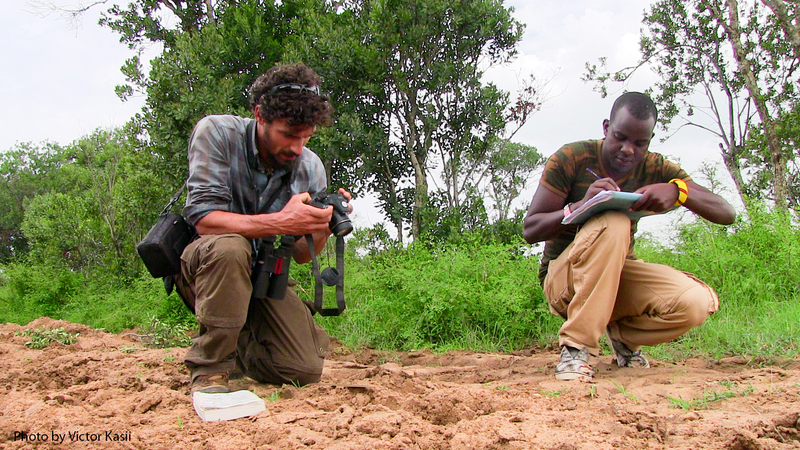 Miquel Torrents-Ticó, a PhD candidate in Human-Wildlife Conflict and Coexistence from the University of Helsinki and his assistant James Miliko searched for and distinguished hyena prints from those left by lions and bat-eared foxes, among other carnivores. In the company of an armed ranger, the team walked a six-kilometre trail in search of the prints. Miquel hopes to address human-hyena conflicts by assessing hyena behavioural ecology and local attitudes towards hyenas in semi-arid areas in Kenya. “Hyenas are largely misunderstood and despised in many cultures around the world. I hope to study human-hyena conflicts by assessing hyena behavioural ecology and local attitudes towards them,” Miquel said as he described his research project. Miquel’s overall objective is to address the human-hyena conflict, by understanding how hyenas change their behaviour in response to changing human and ecological contexts, and what drives shifts in local attitudes towards carnivores. Just before dusk, Miquel quickly assembled his ‘Calling Station’ kit including an audio cassette player and a horn speaker hooked up to the Landcruiser battery.”With the calling station, I playback several vocalizations representing a wildebeest calf in distress, hyenas competing over a kill and a fight between hyena clans. Calling stations are carried out at night, starting half an hour after sunset, when hyenas are most active.” Said Miquel. By the time Miquel had completed the setup, it was completely dark. “Everybody, jump into the car! Turn off all the lights and let us be quiet for the next forty-five minutes please.” Miquel instructed the team. The horn-speaker came to life with the distinctive high-pitched giggling of hyenas followed by shrill, yet funny hee-hee-hees. By then, our eyes had already adjusted to the inky black outside and we could see hyena silhouettes approaching. Voracious predators, spotted hyenas feed on all herbivores, including wildebeest, African buffalo, zebras, gazelles, and impalas. They prefer prey with a body mass between 123 and 401 pounds (56 to 182 kg) but will kill larger prey, including giraffes, juvenile hippopotamuses, elephants, and rhinos, if the opportunity arises. Spotted hyenas consume all of their prey, including the bones. The acidic digestion of spotted hyenas is adapted to extracting nutrients from bones, which causes the pale colour of their faeces. On average, an adult spotted hyena eats about 4.4 to 8.8 pounds (2 to 4 kg) of food each day. They track prey using sight, hearing, and odour. Spotted hyenas can chase prey long distances at speeds reaching up to 37 miles per hour (60 kph). The hooping and eerie, high and low-pitched sounds quickly turned into shrieking squeals as the hyenas tried to get to the calling station. We could count at least thirteen of them circling our vehicle. By this time, Miquel’s smile was infectious. “I am happy to see so many spotted hyenas in one calling!” He said. The first step towards deriving spotted hyena density estimates and distribution in the region had begun. With this and more information collected and analysed over the period of Miquel’s PhD, a lasting solution to the ever-present human-hyena conflict might just be closer than imagined. p.s. Learn about the striped hyena, smaller, shyer, and less social then its larger cousin. 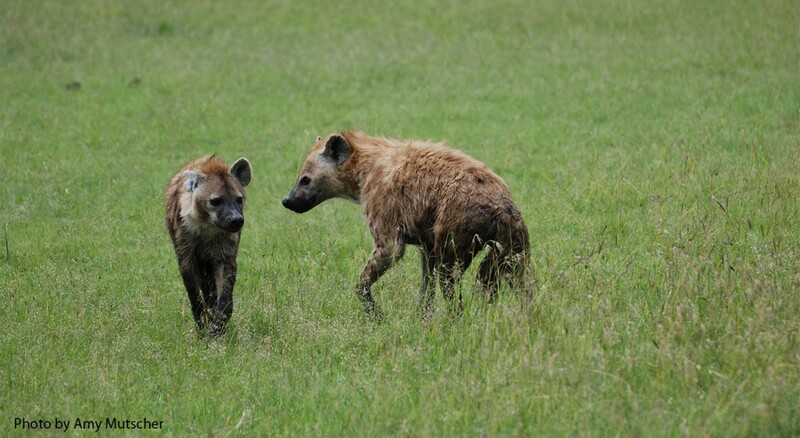 Hyenas are largely misunderstood and despised in many culture. I know many things about Hyenas. Because last time i written essay regarding to Hyenas with college homework help. The Hyenas family is fifth-smallest biological family in the Carnivora.